Paint masks are considered a more advanced modeling process. Mask experience recommended. These masks are designed to make painting all the main hull markings on the kit as easy as possible. 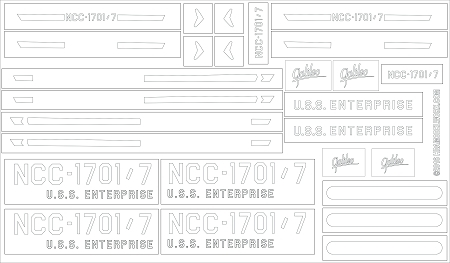 This mask set includes everything you need to paint all the strips, registrations and name on the front and sides of the shuttle and nacelles. 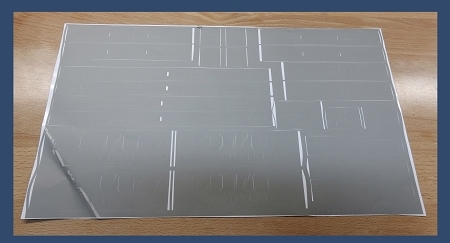 NOTICE: HDAmodelworx uses only vinyl designed to use as paint masks. WE DO NOT USE graphic vinyl that has a permanent adhesive which can damage your paint work.